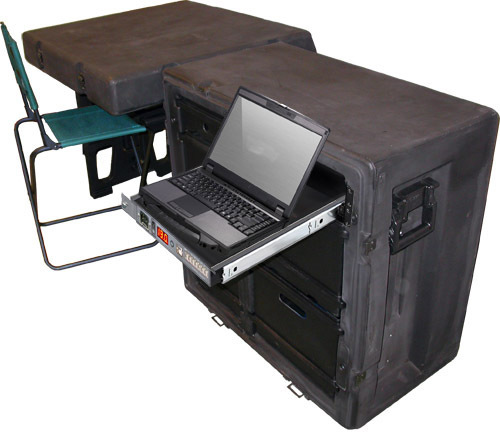 When duty calls but the onslaught of office work follows you out into the field, ETI’s Tactical Desk and Dual Tactical Desk provide one or two individuals with work spaces and six-drawers and power options. 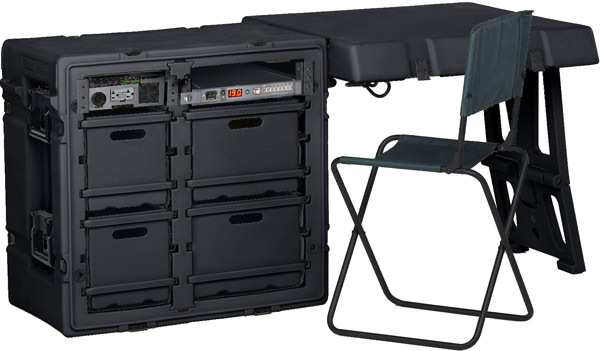 ETI’s Tactical Desks are available with built in computer powering tray, which easily installs by replacing a drawer. These computing drawers are shaped to duplicate the drawer format including the side drawer glides and front locking hasp. By replacing the drawers, we are able to equip new desks quickly or retrofit your pre-existing Tactical Desks with ETI's tactical computing equipment. 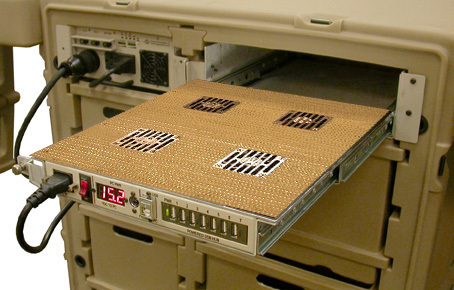 ETI’s slide out Notebook PowerStation is easily installed by replacing a drawers and then plugging in your laptop. A USB hub connected to our internal “Tactical Data Vault" hard drive for additional information storage. 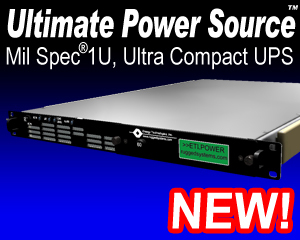 Additional battery backup is available configured to fit into the larger top right drawer space for those applications wanting battery backup.